On day 12 of our Japan Travels, we visited the famous Tsukiji Fish Market and got to try out Tokyo’s Ippudo Ramen (一風堂). With that, we can also do a comparison of whether Ichiran Ramen or Ippudo Ramen has the better Tonkotsu ramen. As you know may already know by now, if you arrive at Tsukiji Fish Market in the wee morning (at about 4 to 5am), you’ll be able to see live auction of the day’s freshest catch. 4am, in the cold, with fishy smell was a little too much for us, so we decided to give this experience a miss. But if you are interested, the auction takes place at Tsukiji Nippon Fish Port Market. 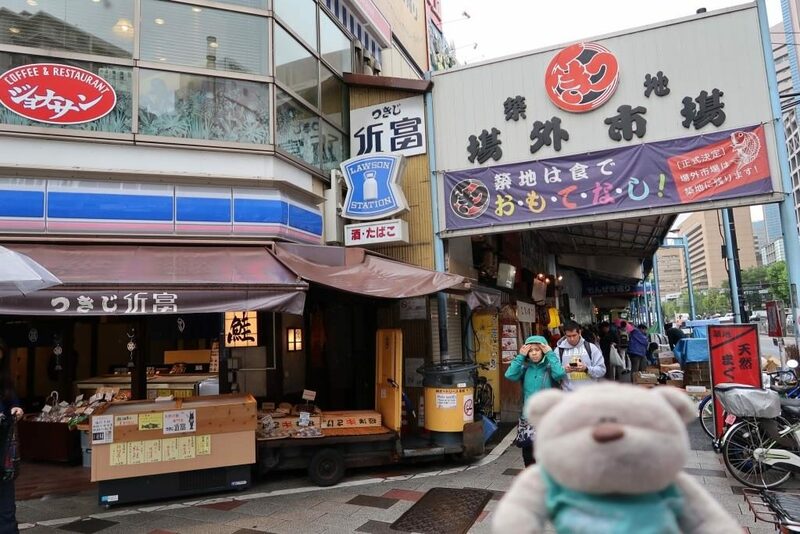 It was quite an experience to just walk along the nooks and crannies of Tokyo Tsukiji Market. Once in the vicinity, you’ll see many locals having their meals from the day’s freshest catch or the beef bowl rice with the unmistakable long queue. For 100 yen, you can have freshly made Tamago (egg) – something we got along this walk. The good thing about Tsukiji is that you can walk and eat, eat and walk (边走边吃) and take in the sights and sounds at the same time. Of course, when you visit Tsukiji Fish Market, Sushi Zanmai comes to mind. There are many many many Sushi Zanmai outlets at Tokyo’s Tsukiji Fish Market – almost like a monopoly. We decided to find one and see what the hype is about. At Sushi Zanmai, we ordered maguro (tuna), salmon and tamago sushi. As it turns out, it was really not worth it to dine at Sushi Zanmai. For 1200 yen, we had 6 pieces of sushi. Ridiculously expensive and was definitely not the best sushi we’ve had in Japan. However, if you happen to find yourself in a Sushi Zanmai (simply because there are so many of them), it is recommended to order the fatty tuna (298 yen per piece) directly, instead of taking sushi off the sushi conveyor belt. After screening through the menu, we went for the original Ippudo ramen (白丸原味) for 1090 yen. It came with 4 slices of pork, seaweed, egg and for additional 100 yen, you can get a bowl of rice with a plate of dumplings (gyoza). As we ordered only 1 portion, the staff brought over an extra bowl as well – a sign to suggest that sharing is condoned. Good option for a light snack on the go. As with most ramen joints, you can have Kadaema – additional noodles for 130 yen. All you have to do is to save some of the delicious soup to go with Kadaema. At Ippudo, you can also enjoy free flow unlimited beansprouts. In terms of taste, it was flavourful. However, when compared to Ichiran Ramen, it was definitely not as rich. If we were to pick a winner, Ichiran Ramen would win Ippudo Ramen hands down. If you’re in the vicinity, do check out Nissan Crossing. This time, we saw the 2020 Nissan Gran Turismo (see above). Futuristic and really cool looking. In the same building, you can also find a Sony showroom as well as a cafe that overlooks the crossing at Ginza. After this short little excursion at Ginza, we headed to Takeshita Street (next to Harajuku station) for more shopping at this pedestrian shopping belt. Delicious Takopachi 550 yen for 8 – Cheap and Good! We also got to rest our legs a little at Cafe Solare. Good matcha latte with a view over Takeshita shopping street. Along the way, we got to visit Brown’s room at Takeshita shopping street as well! Akihabara Tokyo for Electronics Shopping! To start off our evening at Akihabara, we decided to try a Japanese fast food outlet that we have in Singapore as well – Yoshinoya! Somehow, the Yoshinoya Beef Bowl in Japan tastes BETTER! :O Perhaps it was the sake…hm… but all in all, the meal was thoroughly enjoyable. If you’ve tried Yoshinoya or any other fast food restaurants that are also available in Singapore, let us know if you think it is better in Japan as well? We had similar thoughts about Tim Ho Wan. The Mong Kok branch in Hongkong is definitely better than the outlets in Singapore. Enroute home, we tasted the Mont Blanc Pablo cheese tart (chest nut flavour – 300 yen) and Oden (fish cake stew) from Lawson convenient store for 500 yen. Somehow the Oden was super tasty with flavours infused into ingredients such as fish cake and white carrot (turnip). Nope, we were not thirsty after the meal. We hope you have enjoyed our coverage of our 11th day of travels in Japan. Stay tuned as we check out Ueno Zoo and head back to Singapore on our last day of Japan Travels! Remember to check out the best hotel deals in Tokyo before you go! Fountains of Bellagio : Must See Attraction in Las Vegas! Top 5 Singapore Travel Blogs according to Alexa.com! Parkland Green : What’s new at East Coast Park? 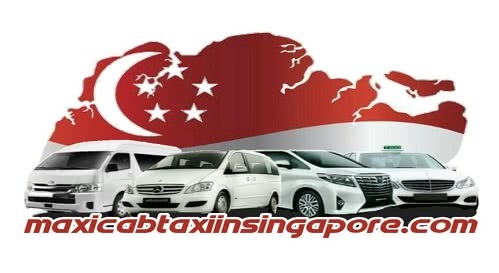 Please Contact maxicabtaxiinsingapo[email protected] with your questions , comment and suggestions.